GastroAdvisor's mission is to help restaurant owners and users to improve their online experience by introducing them to the FORK token and digital currencies. The sector is currently facing numerous problems, from the fake reviews spreading across the web to the lack of existing solutions specifically designed for restaurant owners and connoisseurs online. As of today, the main cryptocurrencies (such as Bitcoin and Ethereum) are exchanged and accepted on thousands of websites, but it is very difficult to use them for daily expenses and real-world activities. Thousands of companies will be able to take advantage of the "Reward" system by checking the page on our site, activating the online booking service and accepting payments via BTC, ETH, FORK. GastroAdvisor (GA) is a project that aims to create a platform where users can search, recommend and book restaurants with ​blockchain-certified reviews! GastroAdvisor is building the first global recommendation platform for restaurants and dining venues based on ​blockchain ​Ethereum. GastroAdvisor connects restaurants and customers through FORK token, rewarding users for their contributions and creating a reliable platform for informations and reviews of restaurants around the world. GastroAdvisor will create the world's first blockchain-certified restaurant review feature. This will only be activated for restaurant owners who accept the FORK token and other digital currencies as a form of payment from GastroAdvisor users. After the user has made the payment, the transaction hash will be saved automatically by the GA platform via the Smart Contract. The user will then receive a notification on their profile informing them that they have the option to write a gold-certified review (available for 30 days). When the review is submitted, the Smart Contract will make a second payment containing the reward for the restaurant owner (see Rewards section) and the hash of the first user/restaurant transaction. The fees will be paid by GastroAdvisor. The review will therefore be saved within the blockchain, making it permanently unalterable. Any other user will be able to verify the transaction and the review (both on the GastroAdvisor platform and in the blockchain) using the transaction hash. There are many projects doing the same business, and I didn't see the solid needs for blockchain technology. Team is good: The core team is big, the advisor board is strong and with many expert. Vision is normal: I didn't see any unique business model. And too many competitors. Product is normal: I didn't see any unique technology or differentiation. Fake reviews are a problem not only in the restaurant business, but in other areas as well so I think there is a use for blockchain here. The white paper is well laid out, and the team is quite strong as well. Gastroadvisor, a project that has as an advisor my friend, but it is not enough to make me think the best about the team, lately I read in a telegram channel some red flag, I have verified and are real, as a figurehead for the company in Switzerland and other Nice little things, then the telegram channel is full of airdropper and fake user. The idea itself is nice, but after what I could see, I do not recommend this ICO. Of course it's just my opinion. I think that it is a project that has many excellent members. Also, I think that it is a mechanism that can solve the problems of shops existing in modernities logically. Once MVP is completed, you can gather more attention from more investors. When choosing a restaurant recently, users will refer to the reviews of third parties. However, if the number of reviews is small, it will be difficult to obtain credit. The problem is the creation of merit for the reviewer. I feel that this project is going to solve this problem well. Gastro Advisor sounded to me more like a doctor’s platform to diagnose diseases. Restaurant recommendation and rating is already a saturated market. I doubt how the team is going compete with the big players in the market. I am open to change my ratings once the MVP is out and KYC has been completed. 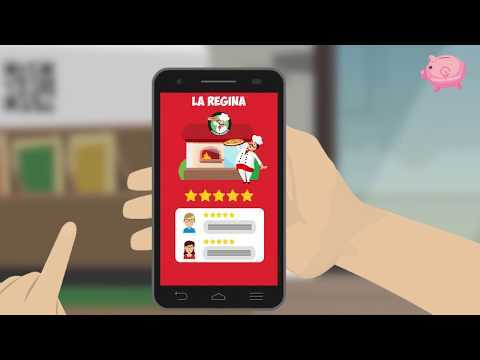 I think this platform has lots of potential to create some level of regulation with restaurant reviews. I've seen it all to often where competitors of restaurants in the same city place fake reviews of each other, then you also get customers who go to a restaurant and expect to be treated like the Queen of England and when that doesn't happen they end up posting a negative review. These reviews can really hurt a restaurant. It would be great to see a alpha/demo/mvp version of this platform before the ICO kicks off. I understand that might be asking for too much but I think it would go a long way in gaining investor confidence. I gotta say though that I'm really not feeling the name. Doesn't sound at all like anything culinary. Sounds more like something related to a medical procedure. An MVP will soon be made public, I'm curious to see it. I hope that in the future the team will be able to bring the platform to success with a successful marketing campaign. Gastro Advisor is the demonstration that if you know the business, if you know the problems of that business system you should know the solutions and with the right help you can menage them. Gastro Advusor has no real competitors because or if they are not specialized (tripadvisor, google for example) or if they are psecialized they don't use blocckhain. Product: I would like to see an MVP before giving an hugher rate. MVP release . Ability to create and manage a restaurant. Ability to create a user account and search restaurants. Booking online. Wallet creation and management.